Imagineer Systems releases new mocha Pro 5.2 point release with major workflow improvements for VFX & post-production artists. 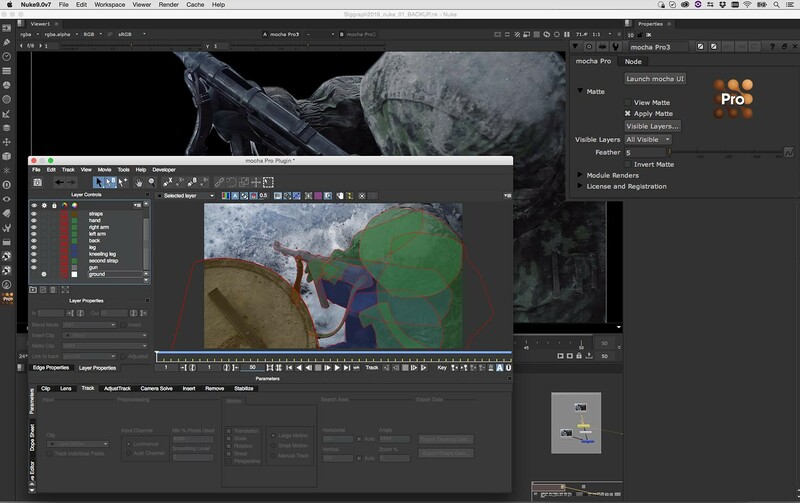 Guildford, UK – November 28, 2016 – Imagineer Systems, the Academy Award­-winning developer of Mocha planar tracking & masking software, releases Mocha Pro 5.2, a point release with significant new features and fixes for the VFX community. Mocha Pro’s highly regarded visual effects software has been used on countless high-profile film and television projects including Game of Thrones, Star Wars: Episode IV and The Walking Dead. New Mocha Pro 5.2 features include cross-platform, floating license support for both standalone and plug-in options and a new Render-Only license option for network node rendering. Mocha Pro 5.2 is available as a free download for all owners of Mocha Pro 5. Cross platform, floating licenses and new Render License are available in volume for enterprise customers by request. Please contact our sales team. About Imagineer Systems:UK based Imagineer Systems is the Academy Award-­winning developer of Mocha: Planar Tracking based visual effects solutions for film and video post production. Imagineer has made its mark on major feature films including: Star Wars: Episode VII, The Hobbit, and the Harry Potter series. In 2015, Imagineer Systems was acquired by Boris FX, a leading developer of effects, titling, and workflow plug­ins for broadcast, post­-production, and film professionals. Together the newly merged Boris FX / Imagineer Systems/GenArts company group services millions of editing and visual effects professionals worldwide.